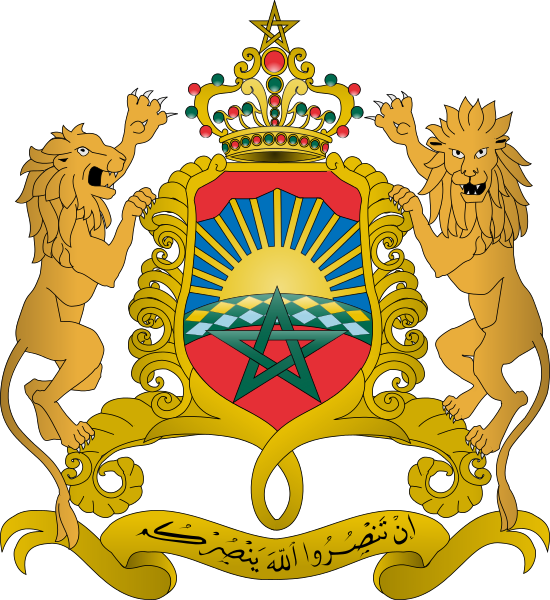 Morocco is located at the northwest of Africa. It is bordered in the north by the Strait of Gibraltar and the Mediterranean Sea; to the south by Mauritania; to the east by Algeria and to the west by the Atlantic Ocean. The Moroccan coast extends over 3,500 km. Two coastlines: the Atlantic: 2,934Km and the Mediterranean: 512Km. 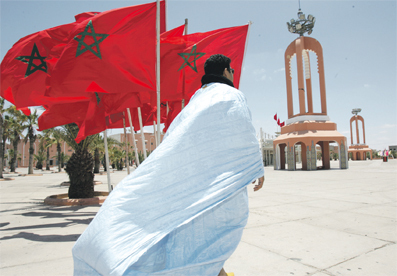 Climate: Mediterranean and Atlantic in general, with desert air in the South of Morocco. Principal mountain ranges: Rif, High, Middle and Anti-Atlas, Ouarkziz. Major rivers: Loukkos, Sebou, Bouregreg, Moulouya, Draa, Oum er-Rbia, Souss, Tensift, Ziz. Morocco has a varied and rich landscape. It has summits and plains; and the greenest vegetation and the fullest aridity. Morocco enjoys an infinite variety of landscapes and territories. Mountains, coastline, desert, each site has its own charm and a unique natural wealth. 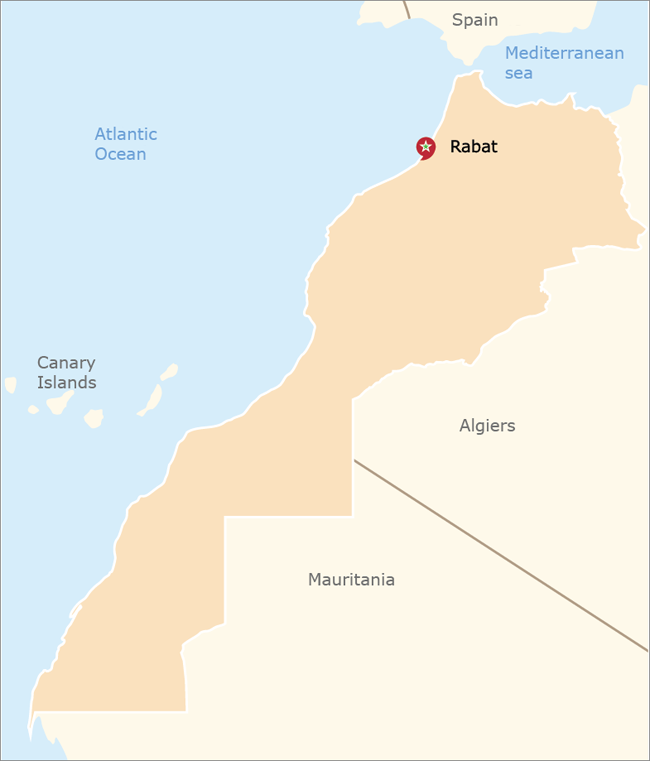 As seen from the air, Morocco is set between the Mediterranean Sea and the Atlantic Ocean, and a long mountain strip expands from east to west to disappear in the sand at the south border with Mauritania. The landscapes are varied and stunning: the breathtaking snow-capped peaks of the High Atlas Mountains and Rif Mountains, dense forests of oaks and cedars of the central plateau, fertile plains of the Meseta, arid lands of the high plateau, semi-desert steppes and luxurious oases of the Souss basin, and the Sahara’s sand dunes. The different habitat types have shaped diverse cultures that have enriched the identity of Morocco. It is so varied that the traveler can enjoy being in Morocco throughout the seasons. When snow blocks the roads of the Atlas, beach activities are still possible in the deep Southern regions. The flora and fauna vary according to the diversity of regions and areas. Morocco provides such geographical diversity, that in the morning, you can go to the beautiful beaches of Agadir, and then in the afternoon be at ski resort of Oukaimden, before returning to enjoy a quiet evening at the palm gardens in Marrakech. The dominating weather in Morocco is the Mediterranean climate, moderate in the west and the north by the Atlantic Ocean. Inside the country, the weather is more continental with significant differences of temperature. The Atlas area is very humid with frequent snowfalls, and in the south, there is a desert climate. Morocco is a subtropical country at the western edge of Africa. In summer, it undergoes hot arid zone conditions, while in winter the climate is cool and humid. * Less than 100 mm, in the South of the country.